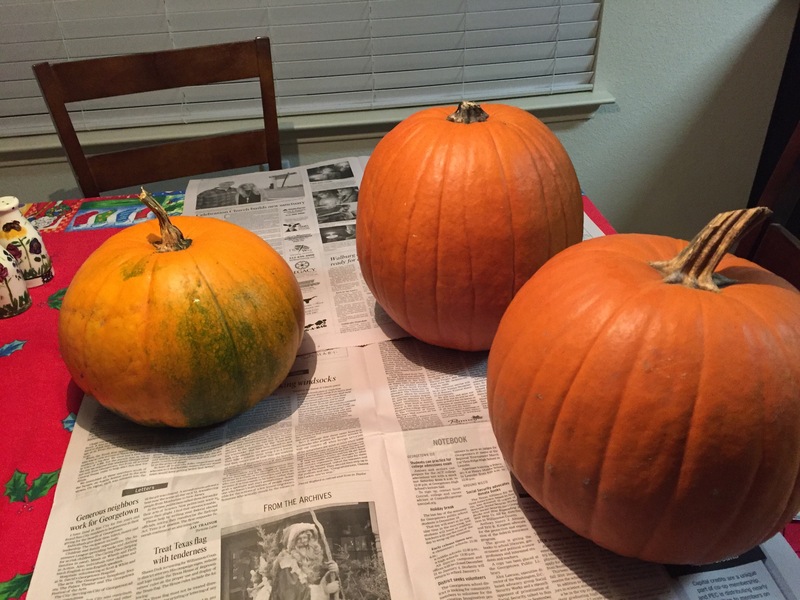 A few weeks ago when I was putting up Christmas lights, I noticed most of the pumpkins from the Halloween/Thanksgiving decorations that weren’t carved were still good. I hated to throw them out. It seemed such a waste. Then I had a thought. Why not try making a snowman out of them? 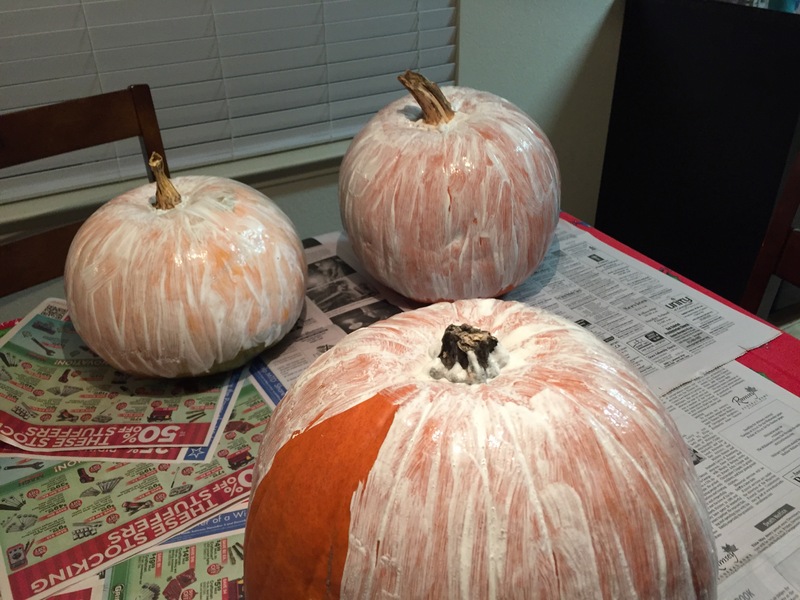 So, I bought some white paint at the craft store and started painting them this weekend. 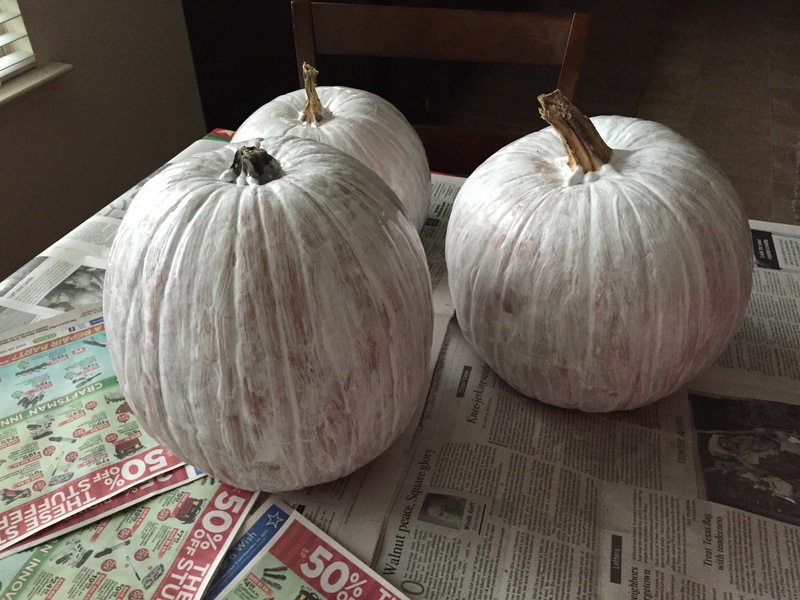 What I didn’t think about was many coats it was going to take to make them not look orange. 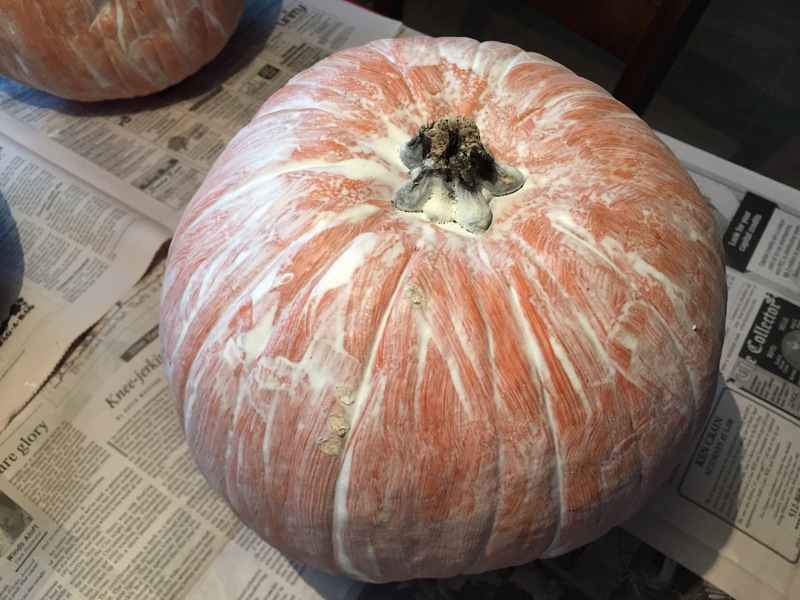 After three coats (pumpkins on left in above photo), I definitely could tell the pumpkins were getting whiter, but I still could see the orange. 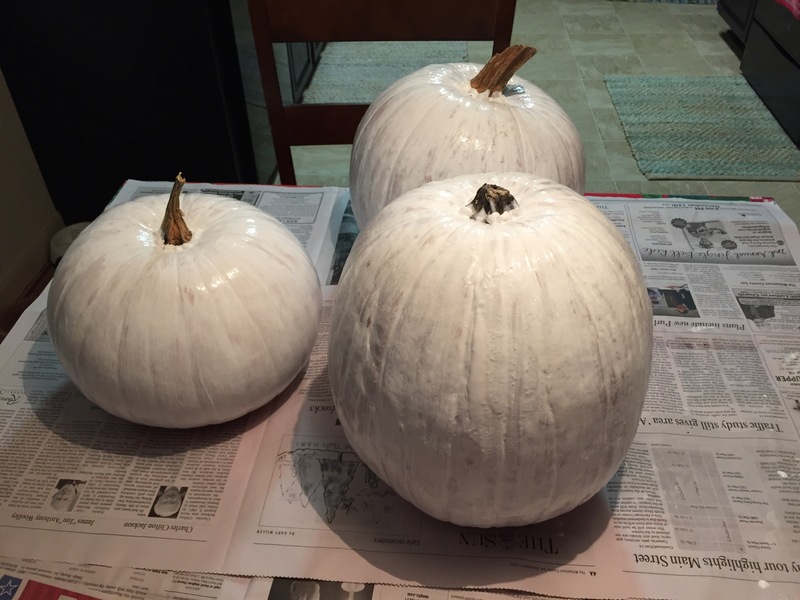 After four coats, the pumpkins don’t look too bad! In fact, they’re pretty darn white, doncha think? 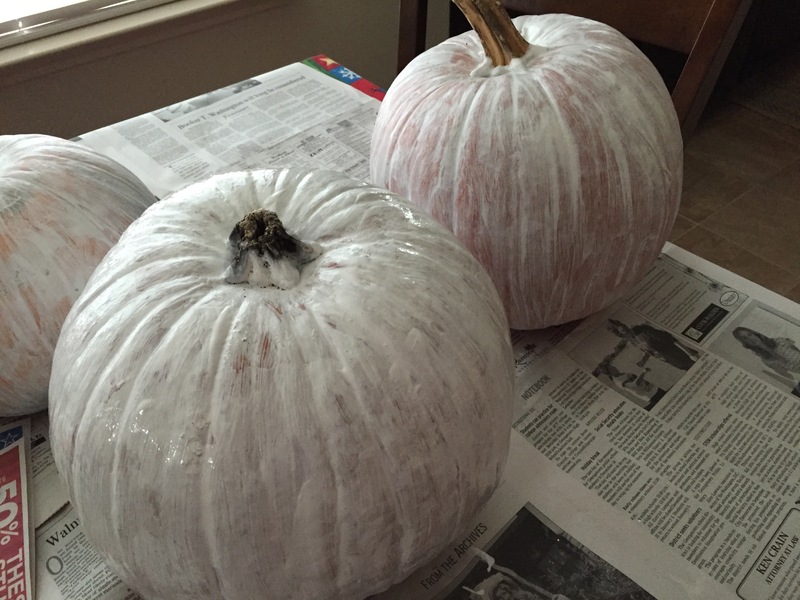 I’ll have to see how they look after they dry all the way, to see if I need to add yet a fifth coat. 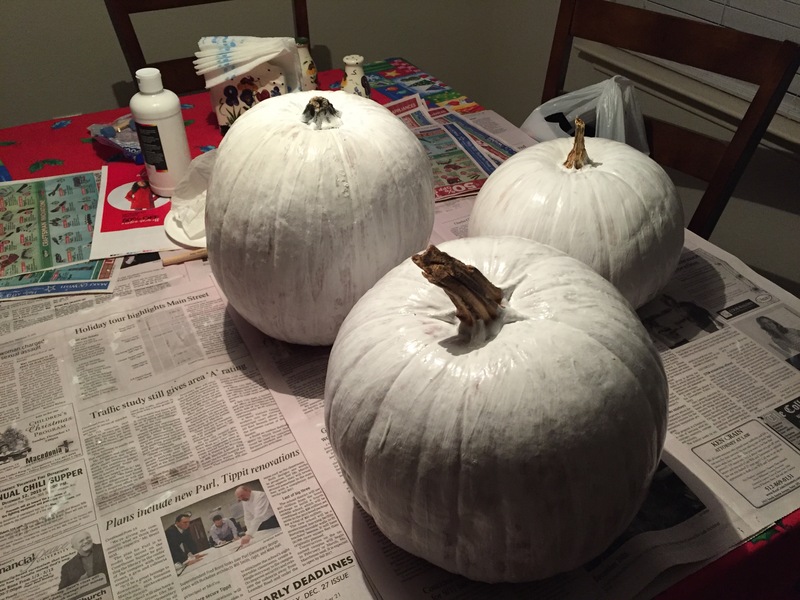 Once the painting is done, my plan is to cut off the stems, stack the three pumpkins and try gluing them together. I’ve got felt for eyes and nose, sticks for arms, an old scarf and a felt hat to top Mr. Snowman off. Hopefully, it will not topple over when I set it on the porch. And hopefully, the paint will not wash off if it rains. The project is taking a lot longer than I thought. But if it works, it will be fun to say we got enough snow in central Texas this year to make a snowman!